The auto dealer bond state laws don’t get changed that often, but 2014 brought an increase in the bonding amounts for a few states. Some types of motor vehicle dealers, who previously didn’t need a license or a bond, now also need to follow a licensing procedure in order to operate in compliance with state regulations. While auto dealers might not be ecstatic about this news, being well-informed about the surety bond laws changes and the 2015 surety bond requirements will certainly help in cost planning for your business. It will make you better prepared to obtain or renew your dealer license this year. Let’s look at the auto dealer bonds increases and changes in detail. 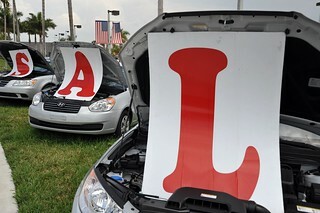 Which states got an auto dealer bond increase? The Alabama bond requirement changed to $25,000 for all motor vehicle dealers with bill HB 400. Earlier this amount was required only for new car dealers, while the rest had to obtain a $10,000 Alabama auto dealer bond. To learn more about the dealer surety bond cost in Alabama, visit our Alabama Auto Dealer Bond page. In Kentucky, with the new bill HB 169, dealers with problematic financial condition or compliance issues will now have to post a bond between $15,000 and $100,000. Furthermore, a surety bond or insurance is now required for any owned or for-sale vehicle in order to cover public liability and property damage. Bill HB 133 now requires new recreational vehicle dealers to follow the licensing procedure for other dealers, which means they will also have to post a Kentucky auto dealer bond now. Read more about your dealer surety bond cost in Kentucky on our dedicated Kentucky Auto Dealer Bond page. Wisconsin introduced a 100% increase in the required motor vehicle bond with Bill AB 262. Dealers need to obtain a $50,000 Wisconsin motor vehicle dealer bond instead of $25,000. Learn more on our Wisconsin Auto Dealer Bond page. Motor vehicle sales finance companies in Pennsylvania are now required to post a $10,000 Pennsylvania motor vehicle dealer bond instead of $5,000. The bill HB 1128 introduced this change. Read more on our dedicated Pennsylvania Auto Dealer Bond page. How does an increase affect the bond cost? As the motor vehicle bond is an indispensable requirement for obtaining an auto dealer license, any bond increase should be factored into your licensing budget accordingly. While most bond amounts have not been increased dramatically, the change still poses a limitation on some smaller auto dealers, whether they’re just starting out or renewing their license and bond. In practical terms, the bond premium that you need to pay is a percentage of the required bonding amount. When you apply for a bond, surety providers examine the full business, and financial situation of your business. If you qualify for the standard market, you’re likely to pay between 1% and 4%. 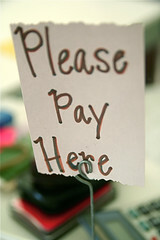 In case you have bad credit or other negative financial records, you might have to pay more, between 5% and 15%. Naturally, when the bonding minimums required by states grow, the premiums are bound to follow. To compensate for the increase, you can focus on improving your credit score and other financials, so that the percentage you have to pay is lower. Also, make sure to carefully choose your surety underwriter, as this can help decrease your bond costs. While budgets in most states are stable, the revenue growth is certainly not spectacular. This makes state administrations more cautious, which means they are looking for new ways to speed up the growth and to avoid financial pitfalls. As a result, many states are introducing a surety bond requirement in more fields of licensing and are increasing the minimum bonding amounts for existing license bonds. Based on the current trends, it’s likely to see some more auto dealer bond increases in 2015 as well. For example, if bill SB 1015 is introduced, Idaho wholesale vehicle dealers might soon have to post a $40,000 bond instead of the current $20,000. In Kentucky, powersport vehicle dealers will have to follow the existing license and bond requirements like motor vehicle dealers according to the new bill HB 500. If bill HB 1000 is passed in Mississippi, used and wholesale motor vehicle dealers will need to post the same bond as new car dealers, namely $25,000. Lance Surety Bond Associates is closely following the legislation changes affecting the licensing and bonding of auto dealers. We’ll always keep you up to date, so that you can better plan your dealership startup or license renewal. To start your bonding today, apply online to get a free, no-obligations quote! If you have any questions about your surety bond or the bonding process, you can always contact one of our surety specialists online, or call us at 877-514-5146. Ralitsa is a marketing expert with a solid experience in the field of surety bonds.